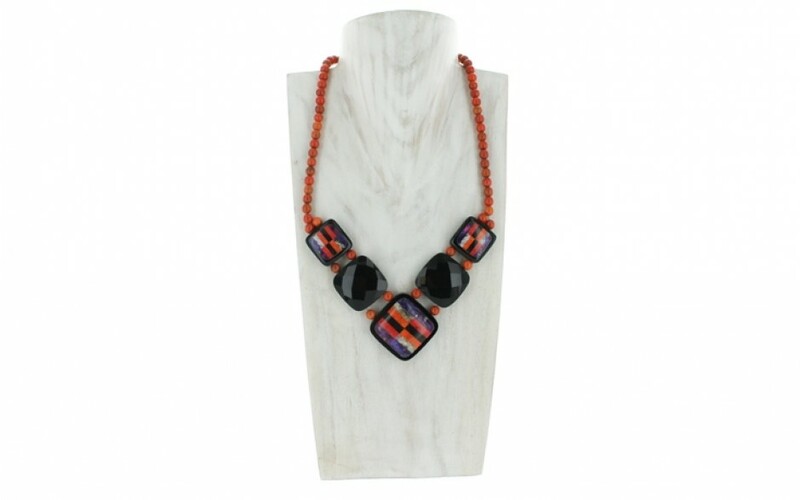 Bold, bright colors make this necklace shine. 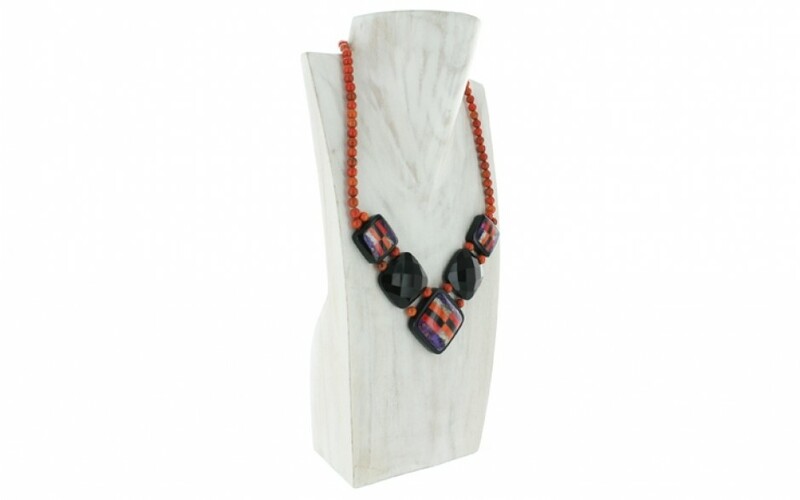 Lots of orange and red coral, black obsidian, white serpentine and purple turquoise combine to make a statement. 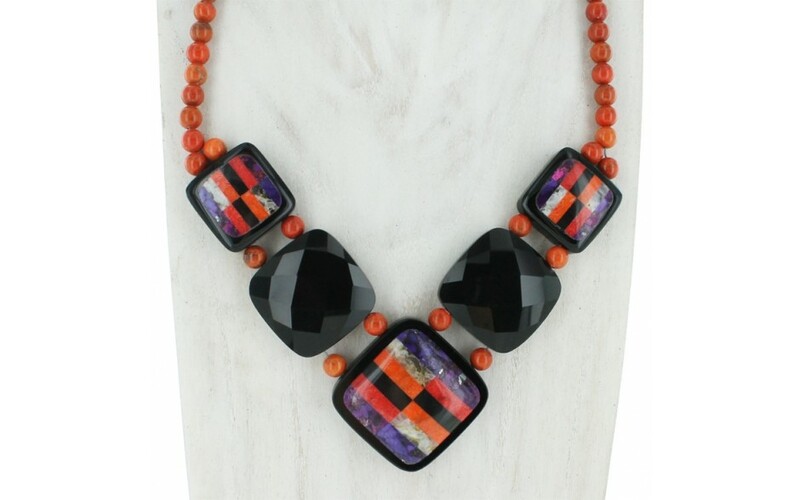 The square center stone commands attention with its size, and separating it from the faceted obsidian on each side are orange coral beads. 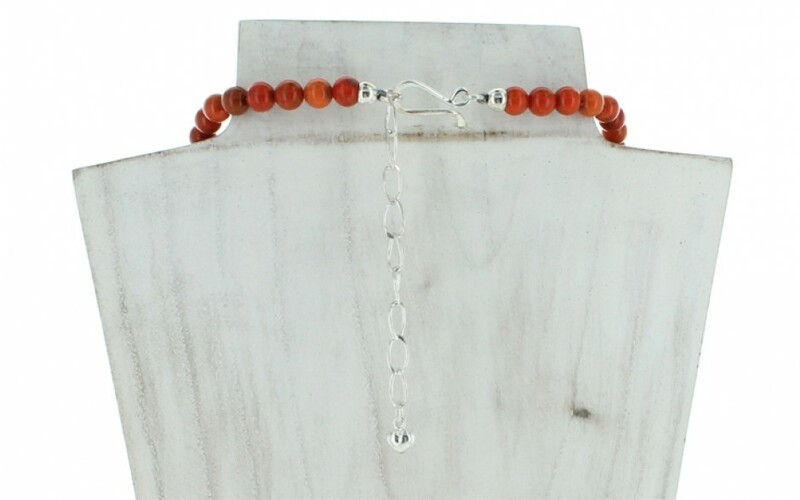 Next are smaller versions of the center stone sandwiched between more orange coral beads, which continue in a single strand to the hook and extender chain. The center stone measures 35mm x 35mm and the round coral beads measure 6mm. The red and orange coral is compressed and color enhanced. It was mined in China. The purple turquoise is color enhanced, compressed and stabilized and mined in China. The natural obsidian was mined in China and the natural serpentine was mined in Afghanistan.